When you think of mummies, what comes to mind? Perhaps the dignified King Tut? Or maybe the regal Queen Cleopatra? Or maybe Egypt’s beloved cats? But out of all the possible mummies, would you expect lowly mice to be one of them? Officials announced the discovery of seven new tombs on April 5th. In October, authorities became aware of these new tombs near the riverside city of Sohag–one of the most historically rich cities in central Egypt–after catching smugglers digging for artifacts. In one in of the colorful ancient tombs, 50 animals (including dozens of mice) were buried with the mummies of senior official Tutu, his wife, and child. Archeologists speculate that these tombs were built in the early Ptolemaic period, and they are excited to learn more about ancient Egyptian beliefs and customs from this newly unearthed tomb and its novel contents. 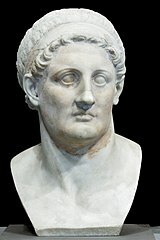 The Ptolemaic (pronounced tol-uh-may-ik) period spanned about three centuries from 323 BC to 30 BC when Egypt fell to Roman conquest. In this prosperous era, Egypt experienced a large economic boom, and great importance was placed on the arts and literature. Furthermore, religious activity was highly encouraged, along with practices such as offering mummified animals to gods. During this time, Egyptians adopted much of Greek culture as well as Greek-Egyptian hybrid art styles which combined themes from both classic cultures. Many of the temples remaining in Egypt today reflect this fascinating hybrid culture. Understandably, the Ptolemaic period was also one of the most well-documented time periods, thanks to its flourishing economy. Read our earlier article here to learn more about this period. The mummification process was an elaborate practice that ancient Egyptians believed was important to ensure immortality after death. However, animals like mice were preserved for several reasons. First was to ensure their pets would also make it to the afterlife. Animals held in high regards such as dogs or monkeys would be treated with this elaborate mummification process. The second reason was to serve as “food.” The journey through afterlife would be strenuous for the mummified human, and Egyptians believed that by mummifying food and food sources, the human would not starve after departing Earth. The final reason for animal mummification was for the creatures to serve as offerings for certain gods, which happened often in this period. This activity was usually reserved for revered animals such as cats who were mummified for the cat goddess, Bast. By analyzing the Ptolemaic period culture, archeologists concluded that the entombed mice were likely spiritual offerings or “meals” for the departed. Mostafa Waziri, secretary-general of Egypt's Supreme Council of Antiquities, described the burial chamber as a “beautiful, colo[u]rful tomb.” Because Egypt’s tourism industry suffered in the past few years due to political instability and deadly attacks after the 2011 “Arab Spring” revolution, authorities hope these new findings will attract much-needed international tourists to the impoverished area. Move over, King Tut, you have regal rodent competition!